Sometimes, a chink in the armour can be found and reveal that the Film Reviewer is not infallible. In this instance, my original reading of Guardians of Galaxy was wrong. The review that was published after the release of the picture had problems with the presentation of the picture. It was trying too hard to be a cult film with interesting flourishes. Additionally, its protagonist, Peter Quill, was an encapsulation of what I saw as inferior representations of ideas and concepts that had been done better elsewhere. Furthermore, the film’s nostalgic harkening was mealy trying to evoke a sense of cool as opposed to the Captain America films. They had nostalgic tendencies that served their films in a much more meaningful way. Finally, the tone of the film was rather peculiar to me, almost reminding me of Batman and Robin. That was a comic book film in which the construction was entirely counterintuitive that it was incomprehensible. 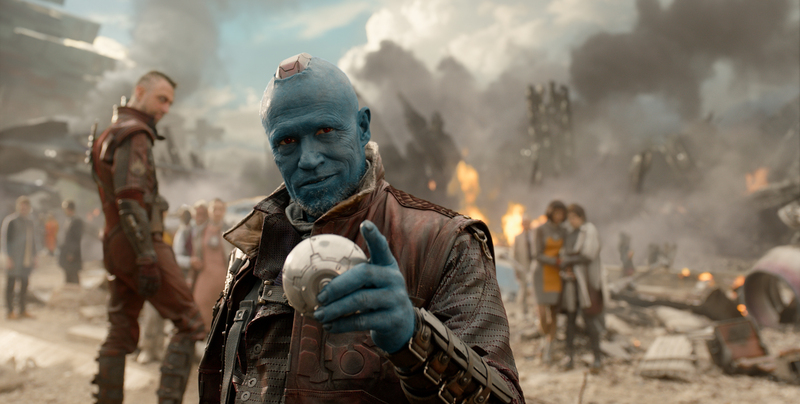 Guardians had an absolute no-nonsense, hard edge that was opposed to sentimentally, yet the film was steeped in emotion and sweet moments that it made the film feel disingenuous. However, since my original viewing, I have seen the film an additional two times. Now I find that the film’s tone, style and filmmaking to be highly commendable. The starting point for my change of heart came from an Elvis Mitchell interview in which he had an interesting conversation with the director James Gunn. During the course of the discussion, Gunn had revealed that he had a particular affinity for the films of Sergio Leone. This piece of information had peaked my curiosity to see the film again. Viewing the film through a Leone prism, the picture became infinitely better in my mind. All the characters of the ragtag group, share a profound sense of loss and pain that has defined them. It was a great reminder of Once Upon a Time in the West in which all the characters are linked by the overarching theme of death. Leone’s influence is additionally apparent in the filmmaking. Gunn knows the power of the close-up and how Leone employed it. Gunn uses it to good effect and it a great virtue of the film as it accentuates the emotional moments. The best example of this shot being used well comes at the end of the film. The camera lingers on Quill holding a tape that his mother gave him. It truly allows the audience to understand Peter during this moment. There are even some scenes that are cut like a Leone standoffs that are impressive. From here, I realised that Gunn in his direction of the picture was juggling many seemingly contradictory elements such as the Leone inspired shots and use of slow motion in action sequences. However, the synthesis of these elements worked on subsequent viewings. This includes the aforementioned sentimentally and hard edge that the film had ingrained in its DNA. However, the film is still not without its problems. It still has far too much exposition, and some of the motivations of certain characters feel sketchily developed. I am sceptical about the prospect of a sequel. The film plays like a great self-contained story, despite some obvious lingering mysteries. One worries that the sequel could spin its wheel in repeating similar gags with its team dynamic and pop culture references.